Brand new inter-island vessel Princess Moana has finally ar­rived home. The Miller Shipping Services latest inclusion’s arrival was delayed by the tropical depression it met on its way home between Fiji and Vanuatu last week. 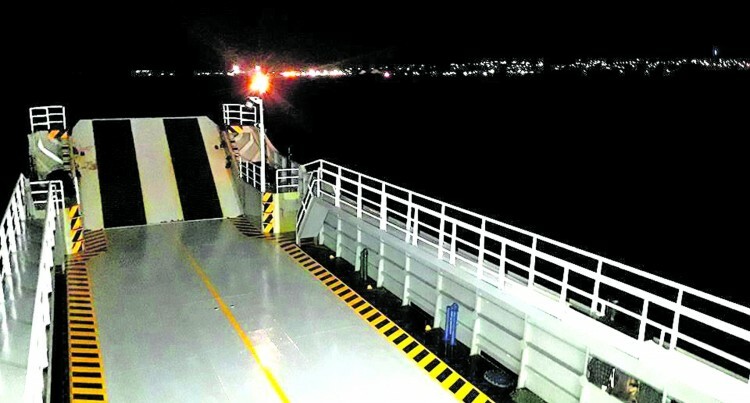 The young princess diverted to Lautoka where she anchored offshore on Friday night.She rested there be­fore heading for Vuda then to Suva yesterday. Princess Moana is expected to be cleared by Suva Customs and relevant authorities today before she sails to Savusavu. The traditional welcome ceremony (cere) is expected to be conducted on Friday. MSS management is hopeful to start their service on Saturday. Meanwhile Northern travellers have been assured that Princess Moana will service the Taveuni to Natuvu route on a daily basis. Bus shuttle services will connect passengers to and from Savusavu and Labasa. MSS ferry services to and from Suva, links up with Patterson Shipping through Nabouwalu on Tuesdays, Fridays and Sundays. Passengers will now get to experi­ence a one day Suva-Taveuni trip. Travellers can schedule for an early breakfast at home and afternoon tea at their destination. MSS apologizes for the slight change in schedules as circumstances that have arose were un-foreseen and beyond their control.